Japanese car giant Nissan on Monday reported a record full-year net profit thanks to US tax cuts but warned about the outlook for the next 12 months owing to a strong yen. Nissan's net profit for the fiscal year to March rose 12.6 percent to 746.9 billion yen ($6.8 billion), as sales edged up 2.0 percent to 11.95 trillion yen. Operating profit was squeezed by swelling costs, including growing incentives in the US market, and the negative impact of a damaging inspection scandal. But US tax cuts offset the negative factors, resulting in a "sizeable" profit gain, said executive officer Hiroto Saikawa. 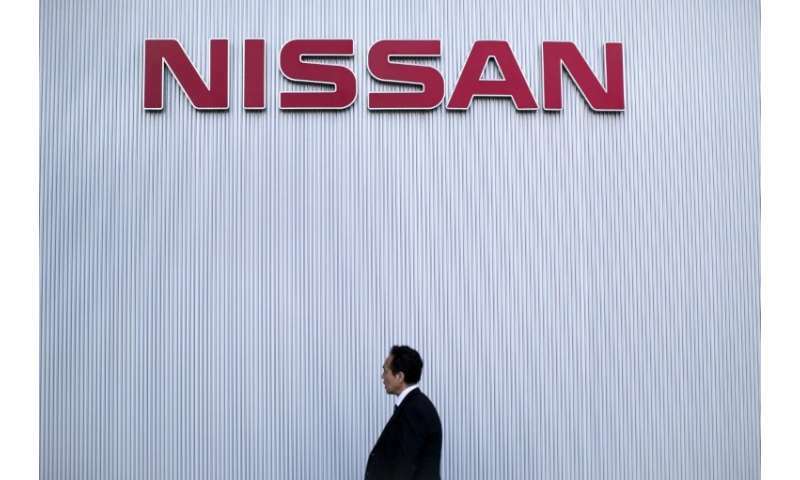 Nissan, however, said its net profit for the current fiscal year to March 2019 is forecast to drop 33.1 percent to 500 billion yen because of foreign exchange losses and growing costs of raw materials. "Foreign exchange gains have contributed to their earnings but the impact is decreasing as the yen has gotten stronger recently," Takada told AFP. Despite the inspection scandal, Nissan sold 5.77 million vehicles in the past fiscal year—a gain of 2.6 percent year-on-year. Honda Motor has said its annual net profit grew more than 70 percent but net profit is forecast to drop more than 46 percent chiefly due to a higher yen.